Birthday gift for my girl ZombieKiller52 with her SkyWing/MudWing hybrid Ember in my Disney style screenshot. I literally wish I could draw as good as this!!!!!!!!!!!!!!!!!!!!!!!!!!!!!!!!!!!!!!!!!!!!!!!!!!!!!!!!!!!!!!!!!!!!!!!! This is amazing! I love your Disney style pictures. I can see myself pressing the 'Play' button on this Disney screenshot - fantastic job, as always! Your disney style is officially my favorite and goodness it`d look so big on the big screen. Or at least a tv show which is the better option. Your Disney style is so amazing! Great job! *reads the comments* Escaped Disney artist, eh? I don't know... It might explain why they're short handed! td7tvgeiggfbgdgigis I freaking love it Liz! Aww yeah she looks spicy af! Can't wait to see the Pantalan tribes in this style! It's so interesting and cute to see! This is amazing! 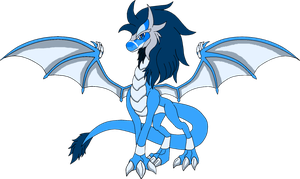 If they ever do a tv show for wings of fire you should be one of the people to help with it, it would look awesome in this style! Wait! I have an art trade with you, if you want. It's about my character, can you try if my character was on the Wing of Fire? Absolutely gorgeous! This drawing are so detailed and beautiful! Such a sweet expression!